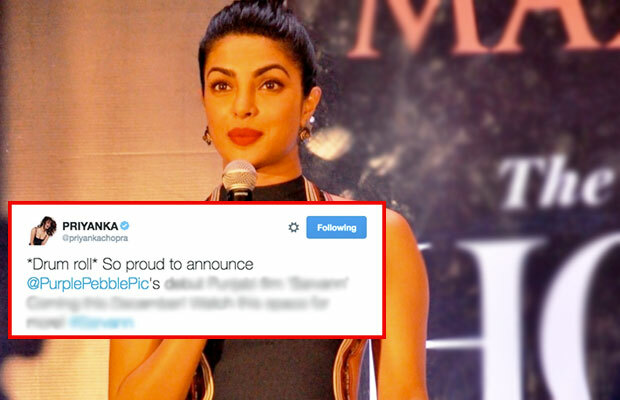 After Ventilator, a Marathi film under Priyanka Chopra’s banner Purple Pebble Pictures, was well received by the audience, seems like PeeCee is now all set to explore the Punjabi cinema. 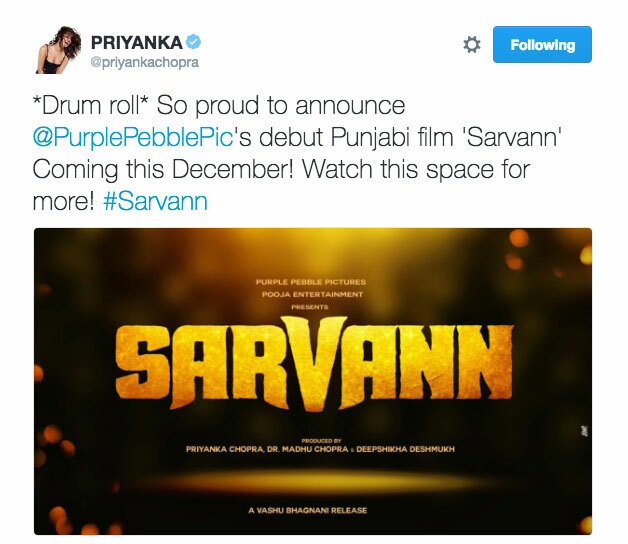 Sarvaan is produced by Priyanka Chopra, Dr. Madhu Chopra (Priyanka’s mother) and Deepshikha Deshmukh and is directed by Vashu Bhagnani. The film’s cast includes Amrinder Gill, Ranjit Bawa and Simi Chahal in the lead roles. The first schedule of the film was shot in Canada whereas the second schedule was shot in the beautiful city of Chandigarh. Amberdeep Singh has written the script of the film, which is based on a life of a young boy’s coming-of-age story and of unintentionally discovering his true identity. The film’s release date is yet to be announced! Next articleChiranjeevi’s Khaidi No150 Heads To Europe !